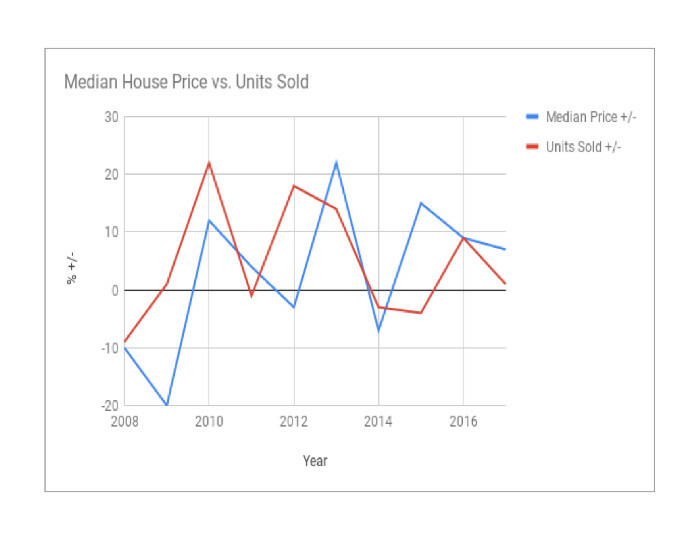 In preparation for this blog I went back to 2009 to see what the median price appreciation or depreciation was over the years since the financial debacle in 2008. Our MLS provides monthly stats and a year end summary in December. It's those reports that I used to come up with the numbers. I also measured the units sold to see how that would correspond to the sales (demand). 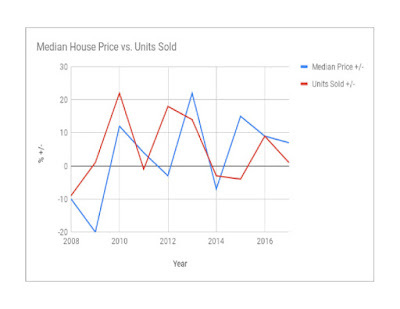 You can see from the graph that the units sold does have the same general shape as the fall and rise in prices. The most interesting thing to me is that if you take the percentage increases and decreases over the displayed years, do you know what the average per year prices did? Rose 4.3%! While we were living the recovery, we weren't feeling it, but real estate continues to be a good investment. The clock has started on the matching grant Associate Broker Brett Binkley and O'Brien & Associates has offered to the Class of 2020 to help them raise money for school activities they are responsible to provide. The grant is UP TO $425 but you have to hurry. The clock runs out at the end of the day on Friday February 2nd! Thank you and help make these young adults dreams come true!